Apple is said to be planning to release a wrist-worn device this fall with touchscreen sizes of 1.6 and 1.8 inches, with the larger having an option for sapphire, according to the latest "iWatch" rumor out of the Far East. 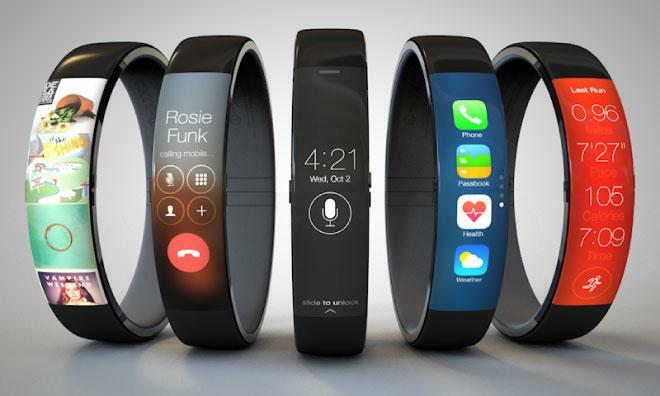 The 1.8-inch variant of the so-called "iWatch" is rumored to come in two models: one with and one without a scratch-resistant sapphire screen cover, according to the Economic Daily News. The report was first spotted on Tuesday by G for Games. The report claimed that the use of sapphire on Apple's anticipated "iWatch" is expected to pave the way for potentially using the hardened material on future iPhone models, such as an "iPhone 6S" or "iPhone 7." That would suggest that Apple isn't planning to use any sapphire covers on this year's anticipated "iPhone 6," as has been rumored. Last week, well-connected analyst Ming-Chi Kuo of KGI Securities revealed that mass production of Apple's "iWatch" is expected to be pushed back to November, due to alleged challenges in bringing the device to market. According to Kuo, availability of the rumored device may be extremely limited this fall. The screen sizes reported on Tuesday of 1.6 and 1.8 inches are also a bit larger than earlier claims by Kuo, who first said in April that the device is expected to come in two smaller sizes of 1.3 and 1.5 inches. The display panels are rumored to be flexible AMOLED technology, and Kuo believes that all models will come with sapphire covers. Still other reports have pegged the display size even larger, with one rumor from Reuters last month claiming the "iWatch" will sport a 2.5-inch touchscreen panel. That report claimed that the screen will be "slightly rectangular," and the face is expected to protrude slightly from the band to create an arch shape. A key selling point for Apple's "iWatch" is believed to be a series of biometric sensors that would provide users with feedback on health and fitness. It's expected that the device will tap into the new HealthKit tools for developers that Apple will include in its forthcoming iOS 8 mobile operating system. Tuesday's report from EDN also made claims about a larger 12.9-inch tablet from Apple, which has been colloquially dubbed the "iPad Pro." The publication believes that the jumbo-sized iPad will be formally introduced before the end of 2014. However, back in February, Kuo characterized a 2014 launch for the "iPad Pro" as unlikely. Instead, he believes this year's iPad refresh will focus on bringing Touch ID and a faster A8 processor to the iPad Air and iPad mini.